Most start-ups have disruptive businesses / business models and in the course of scaling business, teams are ramped up. There is an all-round good news of amazing startup ideas, cheer of unicorns, and funding frenzy. We also hear of a few start-ups facing difficulties in raising new rounds of funding, cash crunch, restructuring business / business models, which may require right-sizing of teams. Working in a startup gives employees a steep learning curve and many a time wider exposure / perspective to work itself. These skills make it easy for employees to land another job quickly, which in-turn gives employees an ability to take the risk of joining start-ups. Making course corrections in business, is comparatively easier than dealing with human aspects. While employees have challenges of looking for a new job, dealing with EMIs etc., it is equally challenging for the founding team. 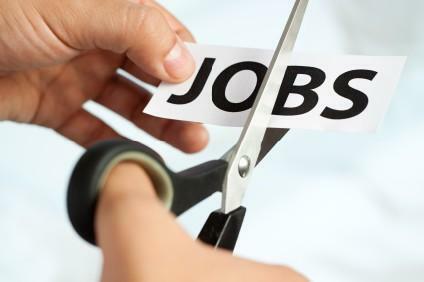 In one incident, a co-founder of a Mumbai based food-ordering app was held hostage by the laid-off employees, for more than 36 hours; in another incident, a Mumbai based real estate listings platform has cut down 600 jobs gaining a lot of negative publicity. In another case, a startup retrenched nearly 50% of its people strength. The founding team worked with utmost care and caution, such that there has been no employee complaint or news (negative or otherwise). The management and senior leadership ensured that labour law compliances were met, fiduciary relationship between the employees and organization were maintained, contractual obligations under the employment agreement were adhered to and importantly, promises made of salaries were kept. It went further, they detailed the list of employees’ skills and mapped it with organizations which may need those skills. They had a list of recruiting agencies that the employees could reach out to. The day and time of breaking the news to the employees were meticulously planned given the holiday season around the corner. News such as these, do take the employees by surprise, especially when the company is doing well and / or have raised funding recently. Managing that surprise has to be thought through apriori. Equally important for the leadership team, is to think through repercussions on productivity of continuing employees and reputation of the organization so as to continue attracting top talent later on. Generally, the ID Act requires the employer to obtain prior permission of the labour department for retrenchment of beyond 100 workmen and employer is required to follow the “first in, last out” rule as per the held law. Accordingly, the employer has to start terminating with the last person employed in that category. There are no similar rules for non-workmen. (Note: In Karnataka, vide notification no. LD 53 LET 2013, Companies operating under the banner of IT/ITeS are exempted from the applicability of the Industrial Employment (Standing Orders) Act, 1946). Retrenchment, under ID Act, can be done only if company is virtually abolishing the said post. In case the company attempts to hire for the same post, opportunity to the worker retrenched has to be given first. Any establishments, which vide a notification issued by State Government, is declared as a commercial establishment, are governed and fall under the ambit of state-specific Shops and Establishment Acts. It is also required that employers provide a reasonable cause for retrenchment and provide notice period or wages in lieu as provided by the state legislations applicable. Companies are required to provide a one month notice period or wages in lieu of such notice period, for termination of the employees under the full time employment; Hon’ble Supreme Court in S.S. Shetty Vs. Bharat Nidhi Ltd., (AIR 1958 SC 12), have made it clear that even if there is an illegal termination of an employee by a private employer, at best the employee is entitled to the salary for the notice period. However, there have been instances where Companies have offered a severance pay to the employees, which is above these mandatory requirements, which labour department/courts do consider favourably, should there be any employee complaints. The courts have considered mismanagement, misconduct, loss of confidence, dereliction of duty, change of business as common grounds of termination of employment. In case of a dismissal, misconduct of an employee does bereave him/her of the notice period or wages in lieu. However, proper enquiry should be conducted to prove his misconduct and the employee should be given an opportunity to be heard, wherein, upon occurrence of such scenario, the onus is on the employer to prove the misconduct of employee. Discharging or dismissal of an employee on maternity leave or absence due to a physical disability tantamount to an illegal act by the Company is unlawful. Recently, Madras High Court imposed an injunction on the dismissal of an IT services company’s employee while she was absent on maternity leave. As per the ID Act, Labour Courts or Industrial Tribunals depending upon their jurisdiction hear matters specified in the Schedules to the ID Act. For employment-related complaints relating to non-workmen, Civil Courts have jurisdiction to hear the complaints. Hon’ble Supreme Court have upheld that the employment in private sector is governed by the terms and conditions of employment, the public policy principles or administrative law principles do not apply to such private employment (Binny Ltd. & Anr. Vs. V. Sadasivan & Ors., (2005) 6 SCC 657). When start-ups are developing their employment agreements, policies, employee hand-book it is worth the time of the founding team to ensure that the policies and agreements are as per various laws and cover the legal risks. Given below is a brief checklist (not comprehensive) that provides an overview of various legislations and consequences of non-compliances. Be fair and do great! Employee’s State Insurance Act Rajiv Gandhi Shramik Kalyan Yojana ensure employee receives Unemployment Allowance after termination if he qualifies for ESI i.e. 50% of max wage up to 1 year, Medical care for self & family from ESI hospitals during that 1 year, Vocational training provided for upgrading skills (expenses on fee and traveling) all these expenses shall be borne by ESIC wage coverage: Rs. 15000/month N.A.